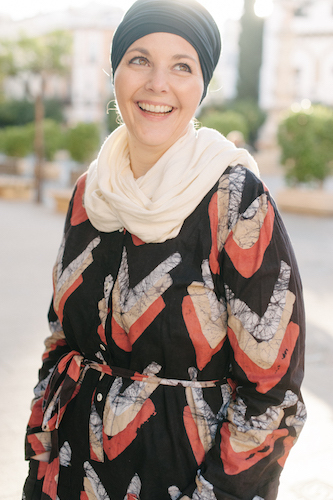 Today’s guest post is from Claire of Traveltio, a self-confessed travel nut. She’s been traveling around the world since her mum farewelled me in a teary goodbye and I hasn’t looked back since. You can read all about her adventures through 48 cities in 26 countries on 4 continents on Traveltio. 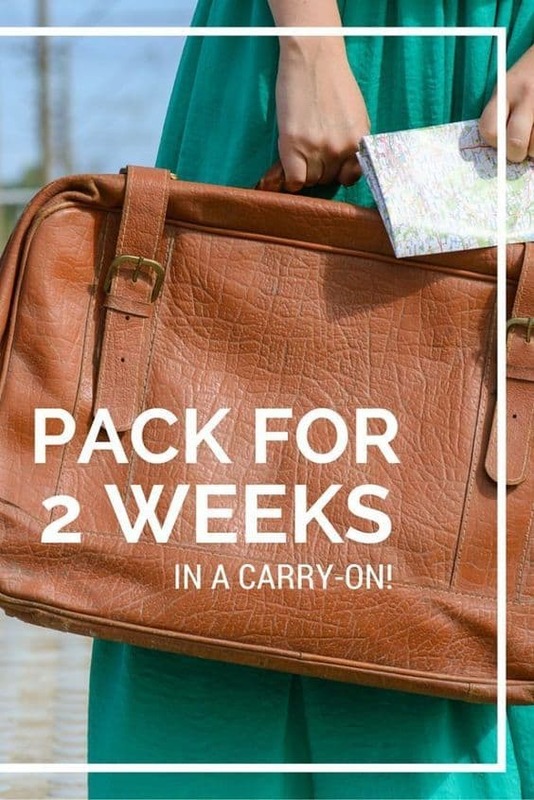 Find out how to pack a carry-on for two weeks in this post from Claire. I used to be one of the worst over-packers. If it was anything I might need or that I’d maybe wear, into the bag it went. After a few trips, I quickly learned that paying for checked bags was a waste of money I could be using to eat fresh pasta in Italy or picking up some extra gifts for friends and family back home. Not to mention carrying all the extra weight was exhausting. Instead of having some stranger manhandle my bag to death and waiting forever at baggage claim, I turned my packing ways around. Now, I like to think I’ve mastered the art of packing in a carry-on. I’ve managed to last a week in Ecuador with just a school-sized backpack, and two weeks in Europe (in varying climates) with just a carry-on and a small backpack. These tips may need to be adapted depending on your personal situation (especially if you’re trying to pack for children too), but they’re a great starting point for your next trip abroad. Before you go, plan like you would for any other trip. Look at the weather and write down activities you already have planned. Determine what types of clothes you’re going to need, and start making a list of individual pieces and entire outfits (complete with accessories) that you want to take with you. You can edit your list later. Also, look up the carry-on size requirements of the airlines you’re flying, and go with a bag that fits the smallest one. It does no good to get to the ticket counter and end up checking your bag anyway because it’s two inches too long. Adopt a minimalist style when you travel — stick to neutral colors and basic pieces. These will be the easiest to mix and match with other pieces, so you won’t have to pack as much. Take one fun piece with you that you know you’ll wear, like your favorite floral dress or those leopard flats that are comfortable enough to wear all day and night. Jeans can be worn multiple times, and you should never underestimate the power of a basic black cardigan or lightweight jacket. Don’t forget about jewelry, and stick to simple pieces that can be worn with everything. If the things you take can serve more than one purpose, then you can take fewer things. Pretty easy, right? Make sure those flats will last you all day, but are cute enough to wear to dinner at night. Take a wallet that can double as an evening clutch for drinks and dancing. Taking a rain jacket? It can be worn as a lightweight jacket for non-rainy days too. Your toiletry bag is a great place for multi-purpose items. Lipstick can double as a cream blush, tinted moisturizer takes away the need for moisturizer and foundation, and 2-in-1 shampoo and conditioner is your new travel best friend. You don’t have to wear your hair both straight and curly — pick one so you don’t need multiple styling tools. Leave the eight different eyeshadows at home, and take just your favorite one you wear every day. Vacation is not the time to experiment with your hair or makeup. Call the hotel and see if they provide freebies to guests who have forgotten to pack something. Sure, it may be cheap soap or your least favorite toothpaste flavor, but it’ll suffice for two weeks. If you end up absolutely needing something, you can buy pretty much anything you need at a drug store anywhere in the world, so give the freebies a shot first. This will also help you get around those pesky carry-on liquid restrictions. Aside from some obvious things you can leave behind, think about ditching the electronic devices. They’re prime targets for theft, not to mention they take up so much space in a bag. If you get your smartphone unlocked before you travel, you can pick up a local SIM card and you can use data from the local cell networks. (Learn some other travel hacks for keeping in touch on how to stay in touch when you’re far away) So you can use your phone for online purposes and not worry about being tied to wi-fi or paying crazy international charges. You’d be surprised at how much extra space you have. There’s plenty of support for both sides of the suitcase versus backpack argument, and while I’ve travelled with both, I can’t necessarily say with is better (though I lean toward a backpack usually, because I like to have my hands free and dragging a suitcase a mile down a cobblestone street is the worst). Both options leave you with pockets of unused space, so get creative. Taking more than one pair of shoes? Stuff socks and underwear down into them. Actually use all those inside and outside pockets on your bags, and roll charging cords and miscellaneous items up in your clothes. Don’t try to pack the morning your flight leaves. Give yourself plenty of time to experiment with different packing styles — like folding your clothes versus rolling them — to determine which way will let you make the most of your space. Lay out all your outfits in their entirety — underwear, accessories, shoes, everything — and see which places you can still edit things down. Do you have two cardigans? Cut it down to one. Can you do two pairs of jeans instead of three? Are you really going to wear heels on vacation, or would sensible flats be smarter for space and comfort? The first few times you adopt a “less is more” packing attitude, it may take you longer to pack. You’re used to just throwing everything in, and now you’re going to have to edit it all out. But I promise it’s worth it! You’ll have more money to spend on your trip and navigating busy train stations and airports will be so much easier with fewer and smaller bags to tote behind you. Do you have any packing tips you swear by? I’d love to hear them!